First Impression: Denise Austin looks like a camp counselor offering to have Girl Talk with the group. Second Impression: We can talk about boys, periods, and whatever else is on your mind! A large, buff-colored, twisted shape is mounted high above Denise’s head. It is both a marvel of minimalism and a statement about the animalistic hunger that lurks within us all. The camera catches it from several angles, but it soon becomes apparent that it’s intended to resemble a dog’s rawhide chew toy. It dangles above her like Chekhov’s gun in the first act. Her calm demeanor indicates she either doesn’t know of its existence, or has come to a place of radical acceptance about it. In the introductory segment, Denise uses emphatic gestures as she describes what’s about to happen to us. Occasionally she will give us her patented Denise Austin too-wide stare, showing us the whites of her eyes all around her irises. This is what you paid to see, folks. 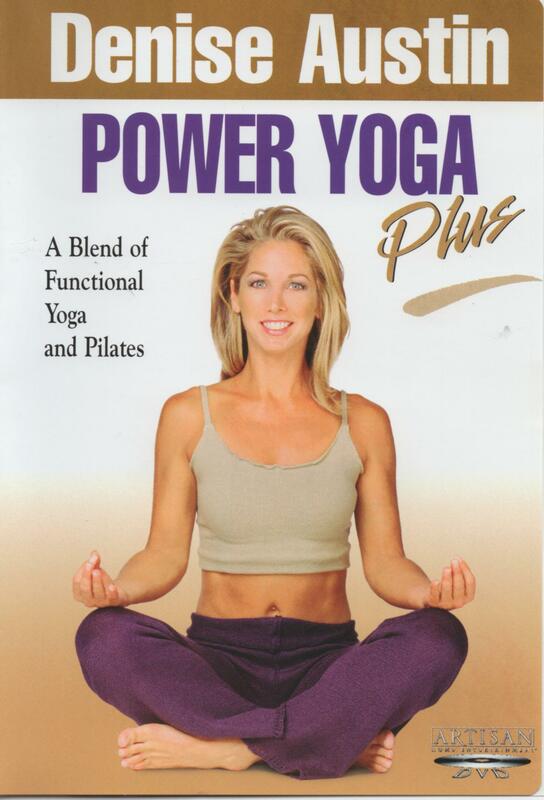 This would be the Plus of Power Yoga Plus. Other fitness instructors are content to just do the workout and go on their merry way. Not so with Denise Austin. She will speak at length in a speech pattern devoid of punctuation, logic, or organized thought. It sounds good at the time, but if you look at the transcript of what she says, there’s no there there. Denise leads the workout on a double-wide yoga mat. As with most of Denise’s accessories, I wonder where I could buy such a thing. During a closeup, I see a long seam running down the center of the mat. Someone literally glued two mats together. I think if a double-wide yoga mat were commercially available, then, armed with my built-in personal space shield, I might actually be convinced to attend a yoga class with other people.